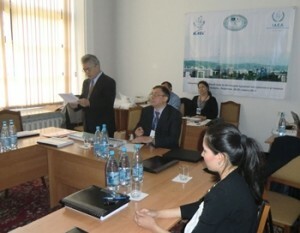 The IAEA nuclear security training course funded by the Government of Japan was held in Almaty, the Republic of Kazakhstan from 16 through 20 April, 2012. Through the course, Kazakhstani participants deepened their understanding on the modern methodologies and international experiences in nuclear security. The course program was developed based on the latest IAEA security recommendations and tailored to the specific needs of Kazakhstan. In November 2011, the Japan-Kazakhstan Committee on Cooperation for the Destruction of Nuclear Weapons Reduced in the Republic of Kazakhstan and the Ministry of Industry and New Technologies of the Republic of Kazakhstan signed the Implementing Arrangement concerning the Upgrade of Nuclear Security in the Republic of Kazakhstan. Under this Arrangement, the Committee contributed approx. 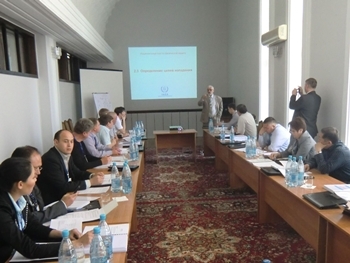 74 thousand euro to the IAEA’s Nuclear Security Fund for the implementation of the above national training course on the physical protection of nuclear material and facilities in Kazakhstan. The importance of our cooperation was emphasized in the National Statement of Japan at the Seoul Nuclear Security Summit in March 2012. It is our sincere hope that this training will strengthen the proficiency of experts in Kazakhstan and ensure the robust security measures against malicious acts involving nuclear material and its associated facilities.